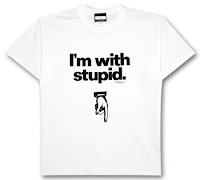 Blognya Miss Dini: Deny that STUPIDITY! I don’t know how to express my feeling when I listen to this VERY NICE SONG! It’s been about (how long?) a bit long time since at first my friend-only-and-nothing-special introduced me to this song. Frankly speaking, I do really not have any abilities to deny that I love this song –Buble’s- is because of him first. As the time went on, I myself love Buble much, as I can really feel the beauty and calmness of JULY *it’s REAL*. Many times played the song, and make it as the most played song when broadcasting, doesn’t make me bored to check it out and out and out and out till in my heart. I think I am too much for this..
Eventhough today July has gone away, but when I was listened to his Everything, I felt that I am in JULY. July means I am Special, but not in other months. Well, in one point, is just one: missing it means stupid, and do not wanna be more.